Most people have an end goal...some big, scary push goal, as they say, that pushes them through the day to day tasks related to achieving that end goal. Some stay motivated with vision boards; others seek personal development through books by leaders in their field. Others join mastermind groups made up of people pushing toward a common goal. These groups can meet in person regularly or through conferences, or in online groups and forums, and typically, as with anything, you get out of them what you put into them. I engage in a lot of personal development, but my favorite these days comes from podcasts. My go-to podcasts are in the areas of travel and location independence. 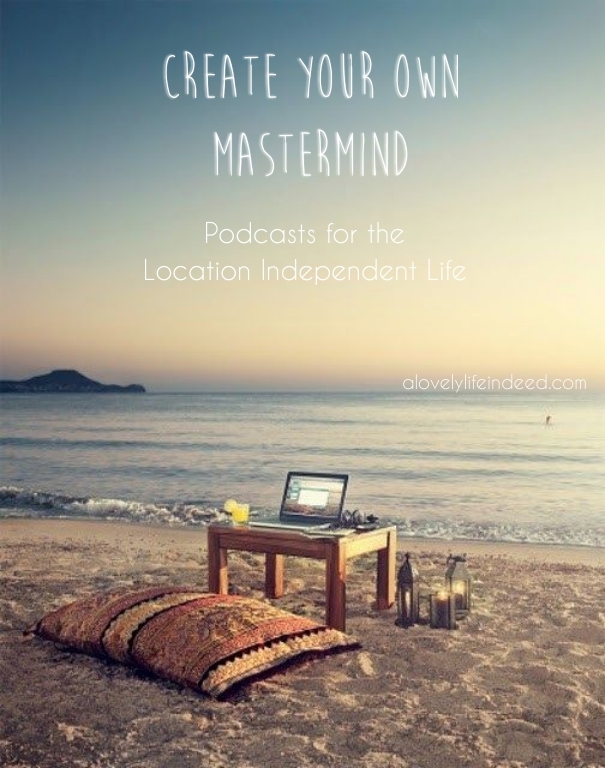 If you're like me and would love the freedom to work anywhere or to create a more intentional life, these podcasts will help you build a mastermind that helps you achieve any goal on your list. While I don't listen to every episode of each podcast in its entirety, I cull nuggets of wisdom and action steps I can take from each episode that I download. As with anything, I get out of them what I put into them. Learn how to live your Plan A life with practical strategies to remove the physical and emotional clutter that weighs you down. Each 30 minute podcast comes with a downloadable worksheet outlining the topic strategy and how it works. Warren and Betsy also offer courses and an online support community called The Life Lab to help you reach your goals. Chalene Johnson is a motivational speaker, fitness trainer, and social media strategist. The Chalene Show is a mixed bag of personal and business development and the Build Your Tribe podcast is dedicated to branding, digital marketing and community building. This podcast features Travis from Extra Pack of Peanuts and Jason from Zero to Travel, two well-known travel-based podcasts in their own right. With this project, they collaborate to provide "an unfiltered, behind-the-scenes look at what the location independent and digital nomad lifestyle really looks like." 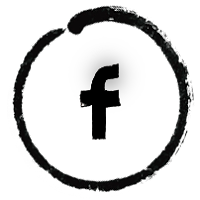 They also offer an online support community to help you achieve your own location independent goals. This podcast is dedicated to all things related to creating and maintaining an online business. The podcast features interviews with leaders in the field, like Tim Ferris, Gary Vaynerchuk, and Chalene Johnson. There are countless others as well. Do a topic search for podcasts in iTunes or whatever platform you use. You can download specific episodes or subscribe to entire podcasts. You can build a mastermind around the topics that interest you. Thanks for these. I've missed every single one but number two! I always listen to the podcasts from Beyond Your Blog. They are wonderful and so informative. Hi Kelly, Love Podcasts too! Looking at 'musings' above I also do enjoy occasional Podcasts from Beyond Your Blog, but mostly I enjoy KCRW Good Food with Evan Kleiman out of Los Angeles. Wish there were some sort of access to a Mastermind group in Philly- but thus far- believe it or not- never able to connect with anyone in my genre! I've never really listened to podcasts but you might have convinced me to give them a try!